How do you know if you’re using the right hydraulic oil? For most lubricated machines, there are plenty of options when it comes to lubricant selection. Just because a machine will run with a particular product doesn’t mean that product is optimal for the application. Most lubricant mis-specifications don’t lead to sudden and catastrophic failure, but rather they shorten the average life of the lubricated components and, thus, go unnoticed. With hydraulics, there are two primary considerations – the viscosity grade and the hydraulic oil type. These specifications are typically determined by the type of hydraulic pump employed in the system, operating temperature and the system’s operating pressure. But it doesn’t stop there. Other items for consideration are: base oil type, overall lubricant quality and performance properties. A system’s requirements for these items can vary dramatically based on the operating environment, the type of machine for which the unit is employed and many other variables. Selecting the best product for your system requires that you collect and utilize all available information. Let me start by outlining the No. 1 lubricant selection criteria: pump design types and their required viscosity grades. There are three major design types of pumps used in hydraulic systems: vane, piston and gear (internal and external). Each of these pump designs are deployed for a certain performance task and operation. Each pump type must be treated on a case-by-case basis for lubricant selection. Vane: The design of a vane pump is exactly what its name depicts. Inside the pump, there are rotors with slots mounted to a shaft that is spinning eccentrically to a cam ring. As the rotors and vanes spin within the cam ring, the vanes become worn due to the internal contact between the two contacting surfaces. For this reason, these pumps are typically more expensive to maintain, but they are very good at maintaining steady flow. Vane pumps typically require a viscosity range of 14 to 160 centistokes (cSt) at operating temperatures. Piston: Piston pumps are your typical, middle-of-the-road hydraulic pump, and are more durable in design and operation than a vane pump. They can produce much higher operating pressures – up to 6,000 psi. The typical viscosity range for piston pumps is 10 to 160 cSt at operating temperatures. Gear: Gear pumps are typically the most inefficient of the three pump types, but are more agreeable with larger amounts of contamination. Gear pumps operate by pressurizing the fluid between the trapped air volume of the meshing teeth of a gear set and the inside wall of the gear housing, then expelling that fluid. The two main types of gear pumps are internal and external. Internal gear pumps offer a wide range of viscosity choices, the highest of which can be up to 2,200 cSt. This pump type offers good efficiency and quiet operation, and can produce pressures from 3,000 to 3,500 psi. External gear pumps are less efficient than their counterpart, but have some advantages. They offer ease of maintenance, steady flow, and are less expensive to buy and repair. As with the internal gear pump, these pumps can produce pressures ranging from 3,000 to 3,500 psi, but their viscosity range is limited to 300 cSt. Hydraulic fluid has many roles in the smooth operation of a well-balanced and designed system. These roles range from a heat transfer medium, power transfer medium and a lubrication medium. The chemical makeup of a hydraulic fluid can take many forms when selecting it for specific applications. It can range from full synthetic (to handle drastic temperature and pressure swings and reduce the rate of oxidation) to water-based fluids used in applications where there is a risk of fire and are desired for their high water content. 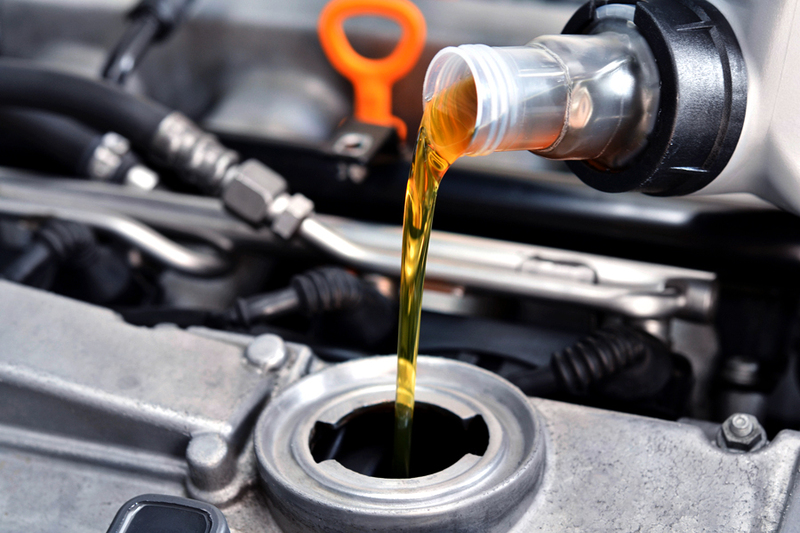 A full synthetic fluid is a man-made chain of molecules that are precisely arranged to provide excellent fluid stability, lubricity and other performance-enhancing characteristics. These fluids are great choices where high or low temperatures are present and/or high pressures are required. There are some disadvantages to these fluids, including: high cost, toxicity and potential incompatibility with certain seal materials. A petroleum fluid is a more common fluid, and is made by refining crude to a desired level to achieve better lubricant performance with the addition of additives, which range from anti-wear (AW), rust and oxidation inhibitors (RO), and viscosity index (VI) improvers. These fluids offer a lower cost alternative to synthetics and can be very comparable in performance when certain additive packages are included. Water-based fluids are the least common of the fluid types. These fluids are typically needed where there is a high probability of fire. They are more expensive than petroleum but less expensive than synthetics. While they offer good fire protection, they do lack wear-protection abilities.